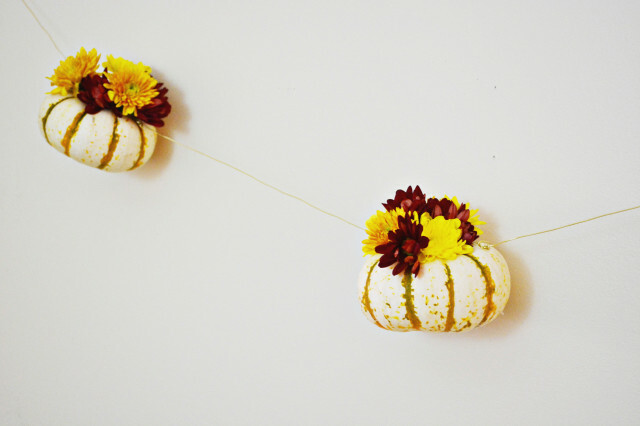 Pumpkins filled with flowers are everywhere – and it is easy to see why! 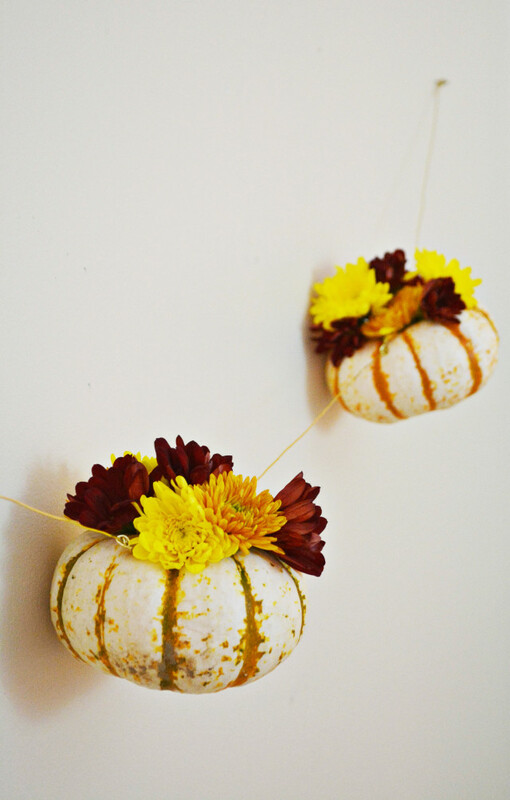 They are so pretty and make for perfect fall and Thanksgiving decor. 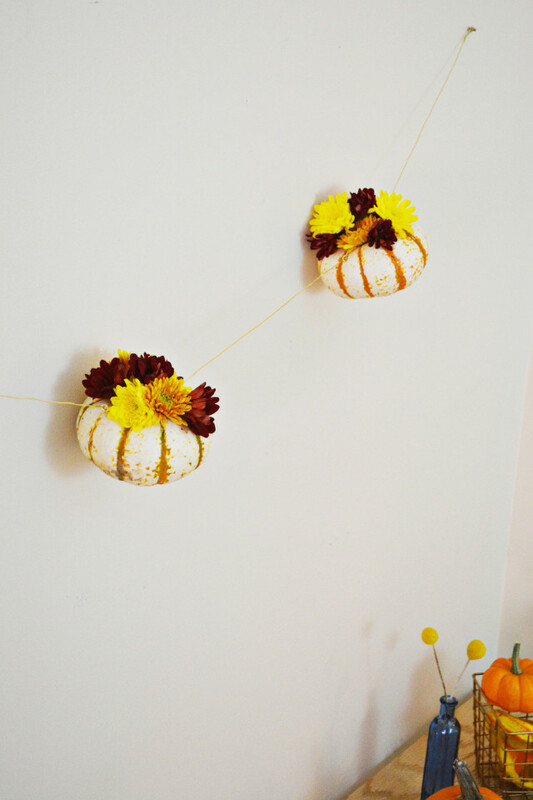 As I was admiring some pretty planters the other day I wondered if I could make a garland and it turns out it is pretty easy and totally doable! 1. 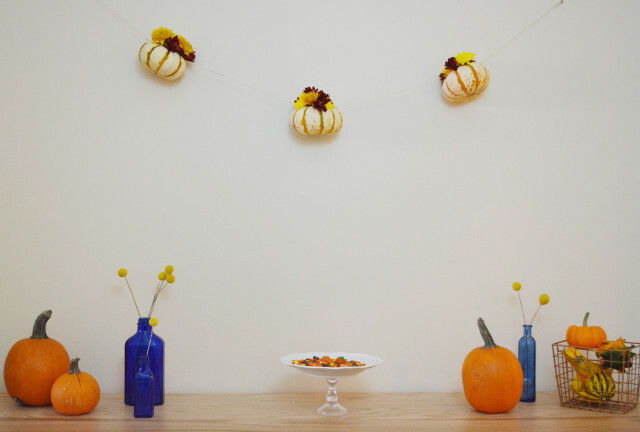 Cut the top off of each mini pumpkin and clean out the insides. 2. 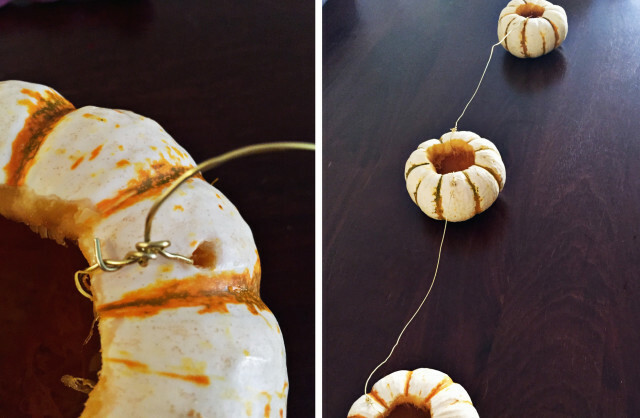 Use an awl to pierce two holes in each pumpkin directly across from each other. 3. Pull the wire through the first hole. If it does not go all the way through, use the awl again to make the hole larger. 4. Make a knot with the wire and then wrap it around several more times so that it is secure. 5. 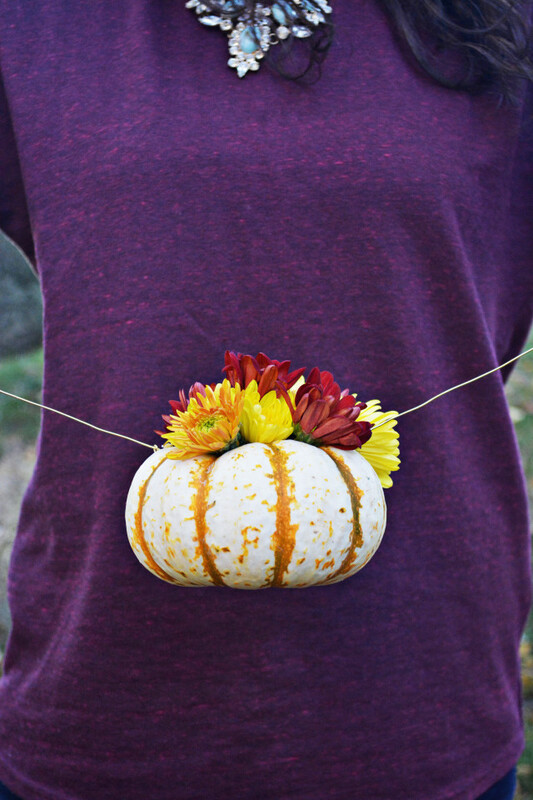 Repeat with each pumpkin. 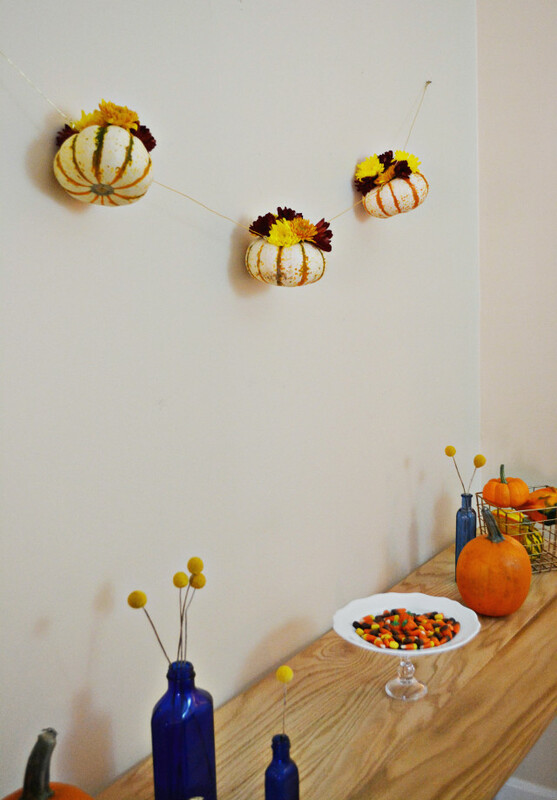 I had about a foot of wire between each pumpkin but do more or less depending on how long you want your final garland to be. 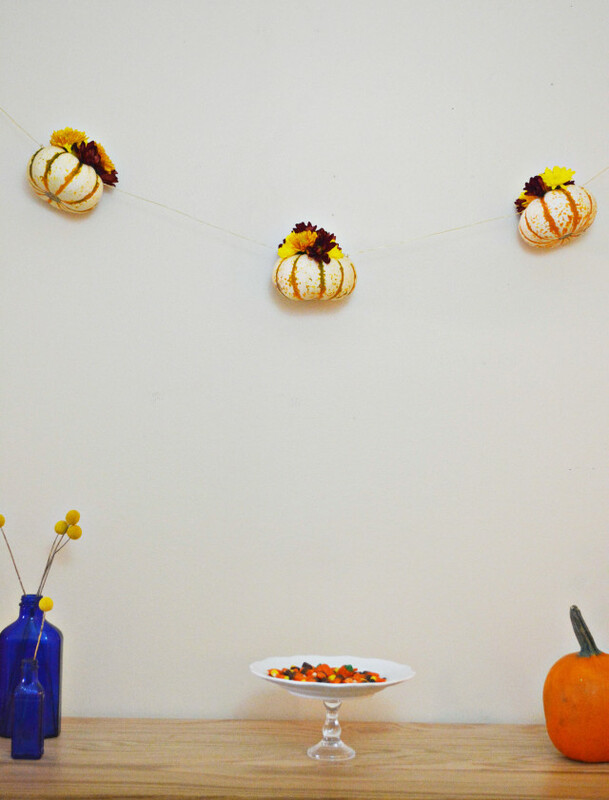 Leave a few feet on the first and last pumpkin so that you have enough for hanging. 6. 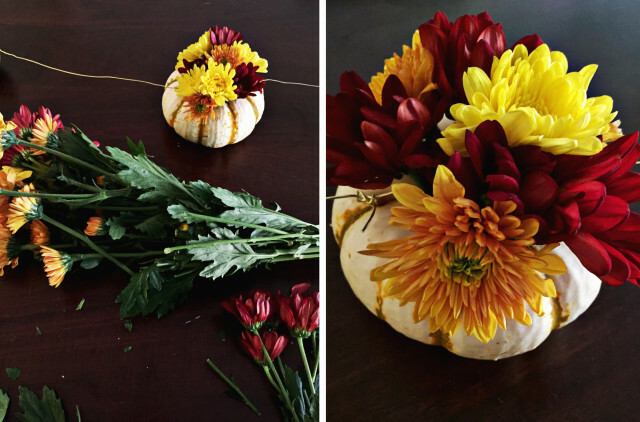 Cut your flowers and place inside each pumpkin – I used mums. 7. 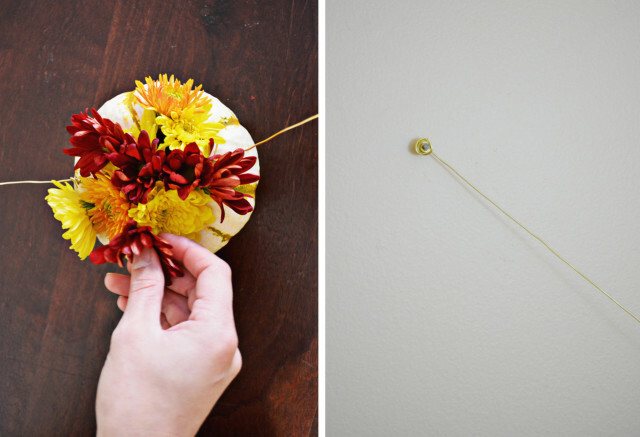 Hang the garland with nails. I placed the garland up by the wall (with Greg’s help) to see how far apart I wanted them and then hammered in two small nails. Then I just wrapped the wire around each nail about 4 times. At first I was thinking this should only last for a day or two but its been up for over 3 days and is still going strong and looks great! 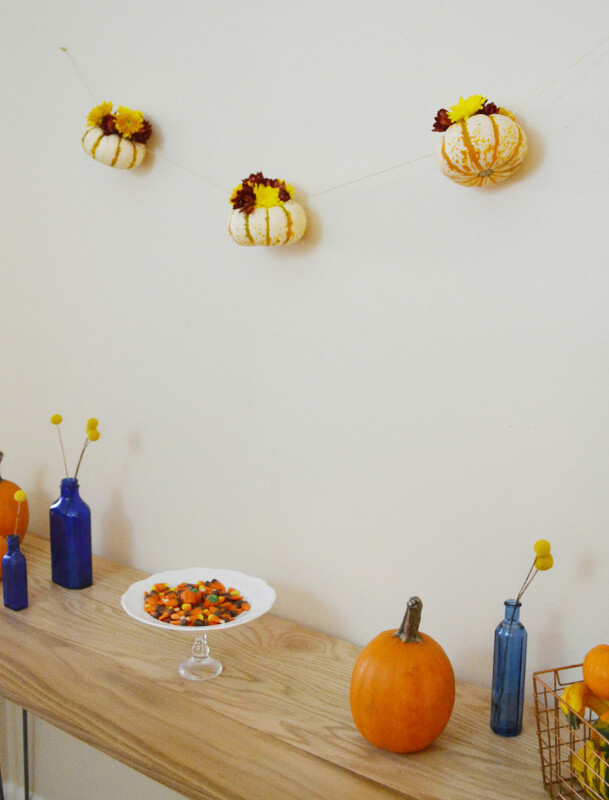 This would be so pretty if you were eating outside, hanging from between two trees. If only I lived somewhere warm enough that I could have Thanksgiving dinner outside!